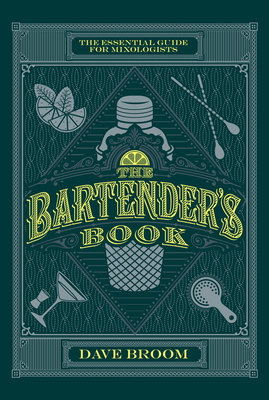 Celebrate the cocktail The Bartender's Book has everything mixologists need to know, whether they're professional or just eager to show off to family and friends. The centerpiece is an A-Z cocktails section that presents recipes and mixing instructions for hundreds of popular drinks, ranging from an Absolut Hero, Bloody Mary, and Caipirinha to a Passion Batida, Smoky Martini, and rum-packed Zombie. Special features showcase 10 classic cocktails, with background on their history and inventors. There's also a glossary of bartending terminology, an index of all cocktails by their base spirits, and advice on stocking a home bar and storing ingredients. Dave Broom is a much-travelled freelance drinks writer and Glenfiddich award winner. He has at various times worked in England, Scotland, the United States, and Australia in the wine, beer, and spirits industries. He is now a regular contributor to Decanter, Wine Magazine, Wine and Spirit International, and Caterer and Hotelkeeper magazines in the UK.